Inspire growing minds and discover the benefits of Play-Doh play with the Textures and Tools playset! Encourage your child to build a foundation that can help them progress toward success as they explore their senses with unique textured stampers and a variety of enriching activities. Designed for kids ages 2 and up, the chunky stampers, patterned rollers, and textured cutters are great for little hands to practice their muscle strength and motor skills as they imprint different patterns into squishy Play-Doh compound. 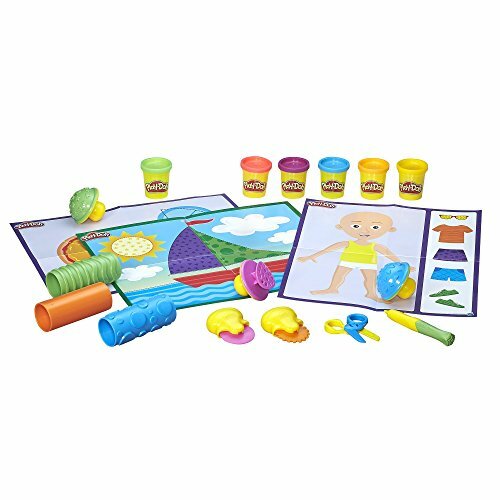 With these tools and the double-sided playmats, kids can practice skills that can help promote their sensory-motor development, including fine motor skills! The Together Time Guide can help you play an active role in your child's playful development with guided activities that let you customize the experience to their level. It's always better to learn together! Hasbro, Play-Doh and all related properties are trademarks of Hasbro.